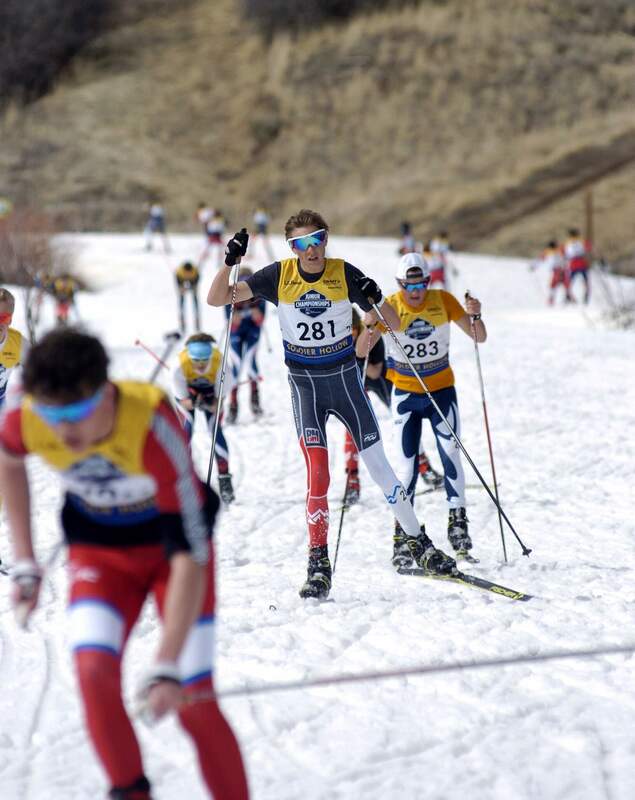 Durango’s Wiley Corra was one of the strongest skiers for the Rocky Mountain Nordic and Durango Nordic Ski Club teams at the 2018 US Ski & Snowboard Cross Country Junior National Championships. Three Durango athletes combined to bring home five medals at the 2018 US Ski & Snowboard Cross Country Junior National Championships. 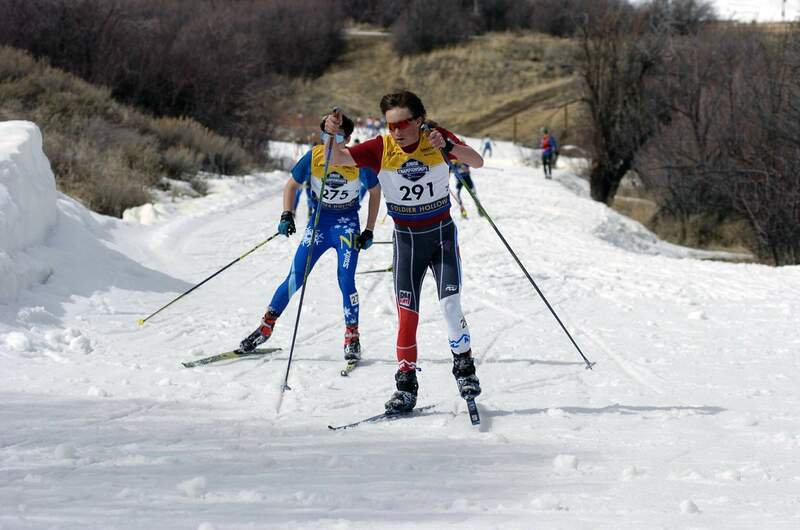 Races were held March 3-11 at Soldier Hollow, Utah. Wiley Corra, Marit May and Logan Moore traveled with Durango Nordic Ski Club head coach Evan Elliott and represented Rocky Mountain Nordic in the event held at the same venue as the 2002 Winter Olympics. Corra, who competed in the boys 16-and-under division, was the first athlete to win a medal for Durango, as he finished a 5-kilometer classic individual start race. He placed third in the two-lap event, which was his first-ever race at junior nationals. His third-place finish was the best of any Rocky Mountain Nordic skier. Logan Moore was 22nd in the event. May also skied a 5K classic individual start and placed 18th among 20-and-under girls. Durango’s Logan Moore skied his way onto the podium at the 2018 US Ski & Snowboard Cross Country Junior National Championships in Soldier Hollow, Utah. In the second race of the week, a skate sprint around 1.3-kilometer qualifying loop, Moore finished 23rd and Corra was 28th among 16-and-under boys. May finished 33rd in her division. The third race provided Moore a chance at his first medal. In a skate mass start race consisting of two 2.5-kilometer loops, Moore skied to third and was the first Rocky Mountain Nordic finisher. Corra skied to 21st. May had to conquer a 10-kilometer course in her skate mass start race, and she finished 22nd. After the individual events were raced, a team relay was held to close out the week. The 16-and-under boys teamed up with two other Rocky Mountain Nordic athletes and formed two teams with Corra and Moore being split up. On the 2.5-kilometer course, Moore’s team finished fourth and Corra’s squad was fifth. May and her teammates had to ski a 3.3-kilometer loop in the 20-and-under girls division. Her team finished with a silver medal.